I never thought these words would EVER come out of my mouth, but…. I can sum up my experience in just 4 words: what a crazy adventure! For the most part, as far as distance goes, I was prepared for this race. 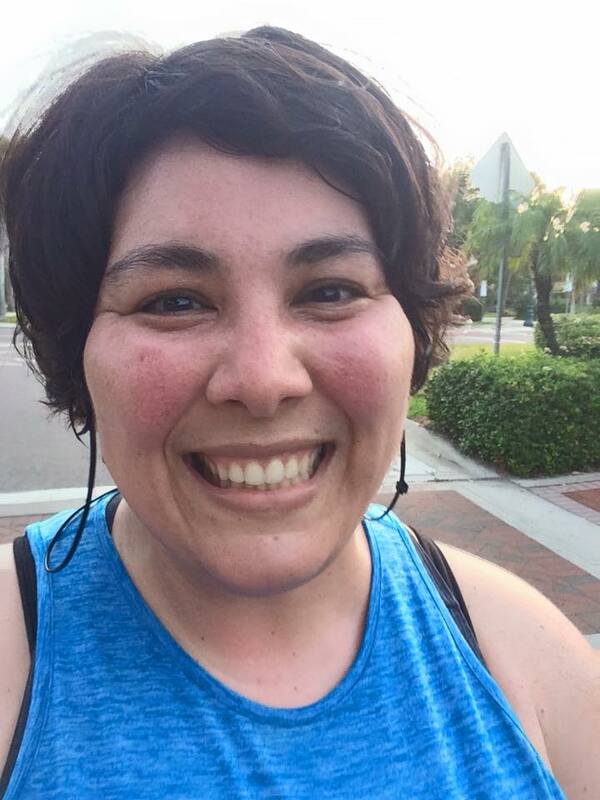 I trained hard and long, supplemented my runs with strength workouts at Orangetheory, and made sure my emotional state was an “I can do this” mentality. What I wasn’t prepared for was the heat and humidity. Unfortunately from December through now, our weekends have been pretty cool- even somewhat chilly at times. So most of my training was done in colder temperatures- a problem I would soon face head on around mile 7! But let’s start at the beginning…. race morning. I didn’t sleep much the night before. My head was spinning, and I kept on thinking about the what ifs. What if I don’t finish before the cutoff time? What if I don’t finish at ALL? 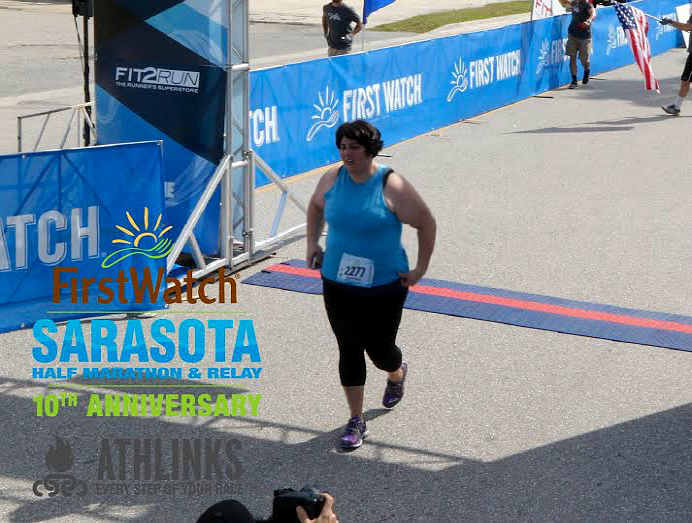 The drive from Tampa to Sarasota was pretty fast, and before I knew it I was walking toward the start line. With 10 minutes left until start time, I needed to find a bathroom stat. The shake + a full glass of water went straight to my bladder! The port-o-let lines were long, but fast moving, and by 7:11, I was crossing under the start line. It was pretty dark when we started, but as we approached mile 1 the sun began to rise. I was surprised at how quickly mile 1 went by! I felt GREAT. My legs felt strong, there was a cool breeze off the water, and I was holding onto a (comfortable for me) 14:00 pace. We went up and over the gigantic, dreaded Ringling Causeway Bridge and rounded through miles 2 and 3 around beautiful St. Armand’s Circle. What I thought would be most difficult for me, turned out to be no big deal at all. 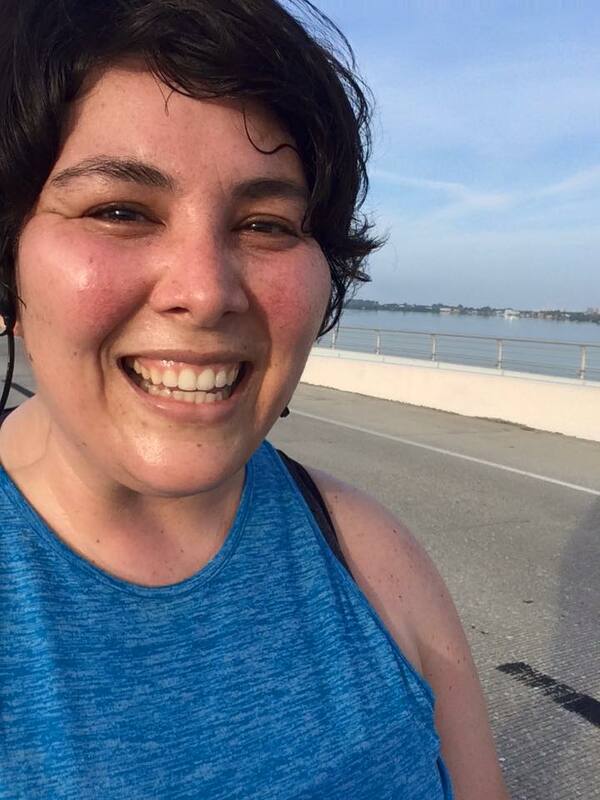 My favorite part of the race was the first half- running next to the water, up and over the bridge and then through St. Armand’s and back over the bridge a 2nd time. The weather remained on the cool side and the breeze from the water was a nice treat! 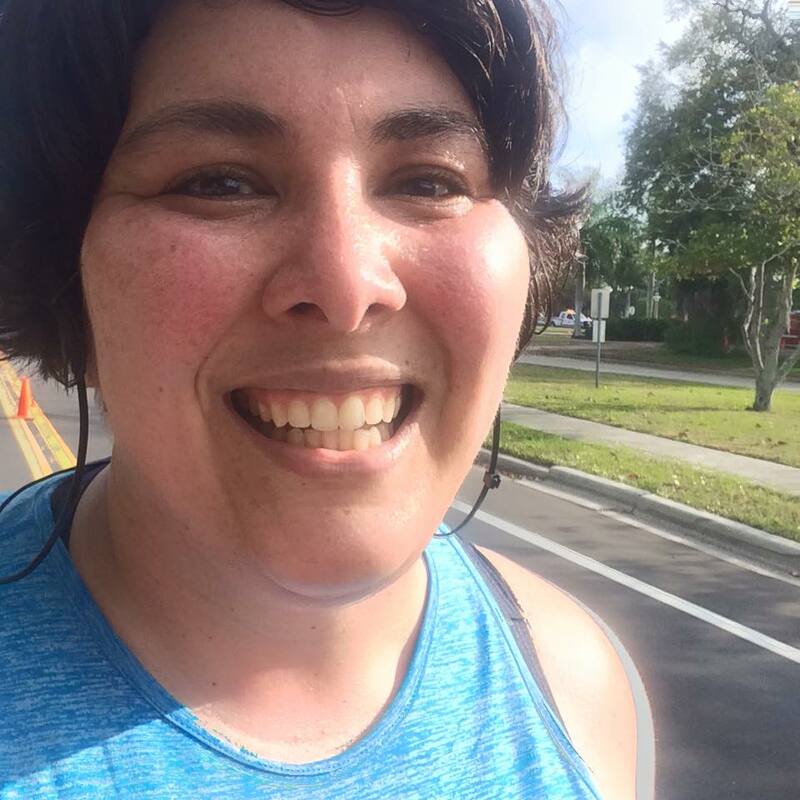 I passed the relay switch point, still maintaining a good pace at around a 14:40 min mile, passed through miles 7 and 8 (ate some delicious strawberries that a group was giving out!) and then really started to hit a big, hot, sun-blazing wall. The 2nd half of the race isn’t as scenic as the first. It’s basically all open road along highway 41 from the half-way point through about mile 8. And that sun beating down on me, mixed with the heat from cars along the road did me in! When we turned to head back through the neighborhoods, I was happy to have some much needed shade! Attempting to smile at mile 10. I checked in with my chicas a few times (we have a Facebook chat that we all keep up with) and Brian giving them a few updates along the way. At mile 10 is where a bad case of the “I can’ts” began to set in. I sent B a text that said something along the lines of “I don’t think I’m going to be able to do it” and the chicas got an update to the tune of “I’m fading! I over it!” But with some much needed encouragement, they pushed me through mile 10, 11 and 12- which were my slowest out of the entire race. By mile 12 my feet were barely moving. I was SO hot. My feet were aching. My shoulders were sore and tight. I was ready to give up. I sent Brian another text telling him I didn’t think I could make the last mile. And even though I kept telling myself “You just did 12 miles! You can do 1 more!”, I was ready to have him pick me up in the car just so I could sit. I wanted to sit SO badly. Every curb, park bench, house porch that passed, I was tempted to sit. But I didn’t. As I approached the last .75 of the race, Brian met up with me to help me finish. That’s my “holy crap I finished” face. Totally happy with that, no doubt. 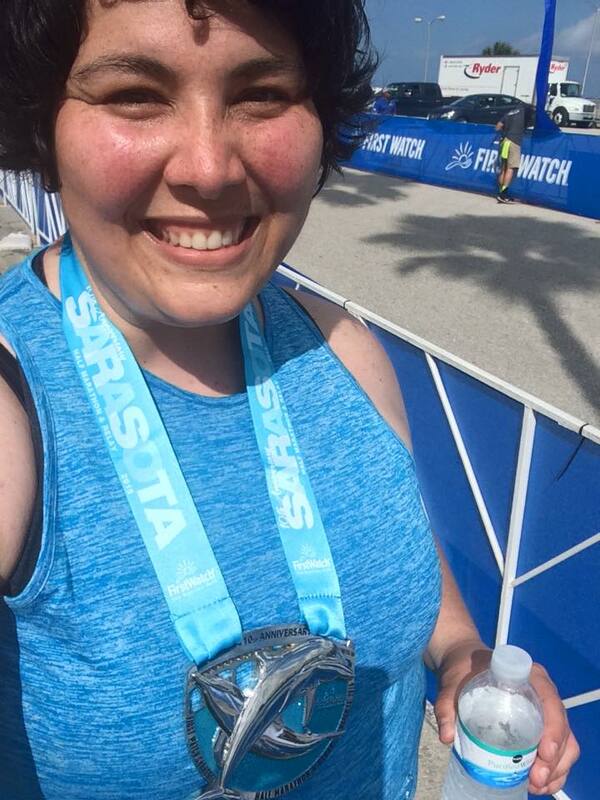 I finished under 4:00, and ultimately, that was the goal. To finish! 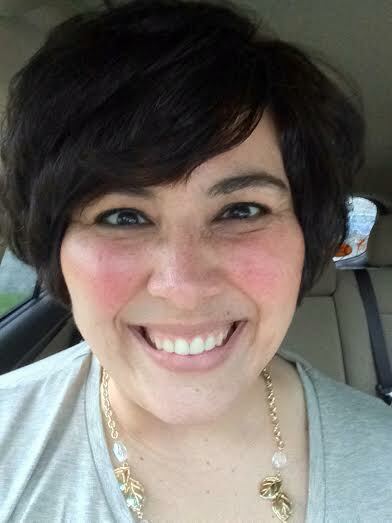 So the big question is… will I do it again? 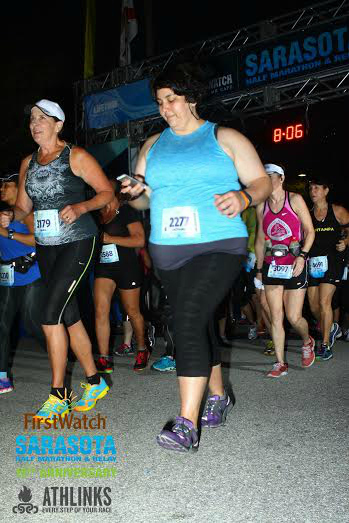 This entry was posted in Fitness, Races and tagged beginner half marathon, plus size half marathoner, running a half marathon, sarasota half marathon recap. Bookmark the permalink. Congratulations girl!! I remember how that first one felt – it’s an amazing feeling, but I totally get the “what the heck did I do” feeling too!! Congratulations! I’m so happy for you. You look great on all the pictures! CONGRATS STEPH!!! 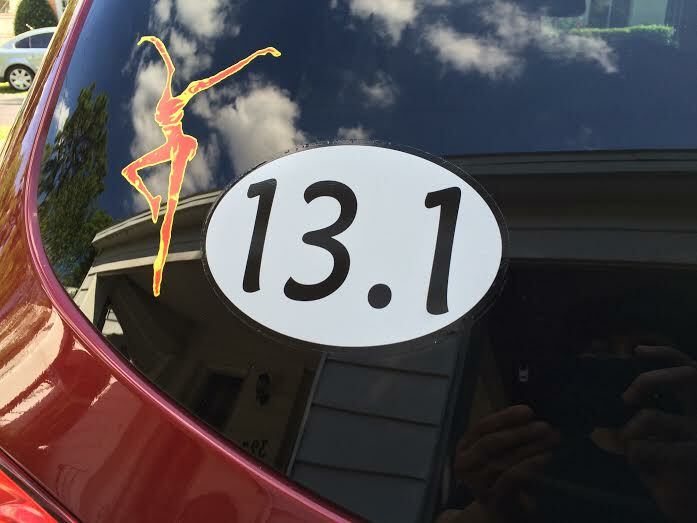 And you are not kidding 13.1 is no joke! I’ve done 3, and I have finally realized that I am DONE!! I’m pretty sure I’m maxed out now at a 15K. 🙂 The medal is fantastic and you earned it!! WHOOOO HOOOO, I’m so proud of you chica! You did something a majority of people don’t even think about doing, crossing that finish line of a 13.1 race 🙂 Way to go! Congratulations! You trained hard and the finish is victory!! It was great to see you and the weather was NOT nice out there Sunday!! Hope you are feeling better! 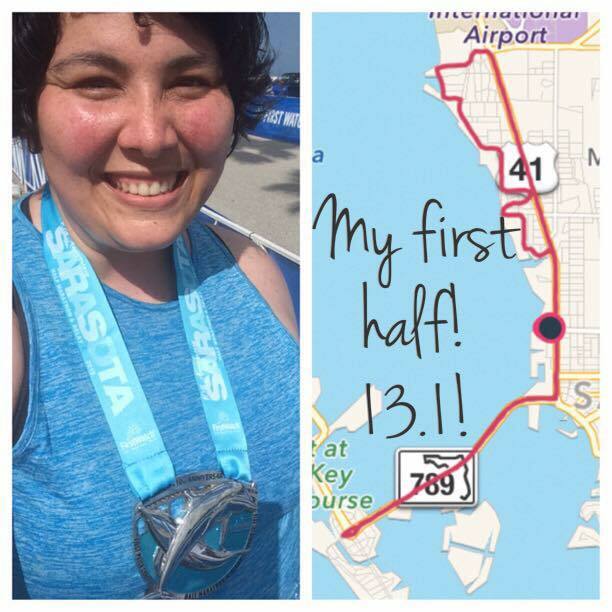 Pingback: Double Race Weekend Recap – Part 2 – Sarasota Half Marathon | Tampa Mom Runs!